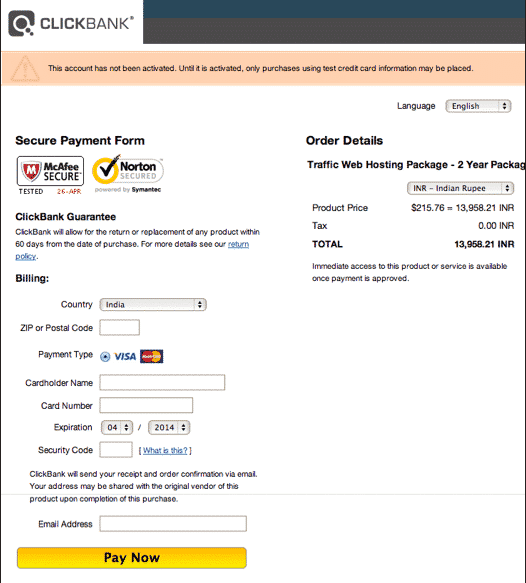 ClickBank WHMCS Gateway Module allows us to make transactions with ClickBank via API . Supports one time as well as recurring payment through WHMCS ClickBank. Products mapping between ClickBank products and WHMCS products. Invoice gets paid into WHMCS when client pays on ClickBank. Gateway Response is begin logged properly as gateway logs into WHMCS.